The Westin Denarau Island Resort & Spa is a stunning 5 star Fijian resort located just 30 minutes from Nadi Airport. This Fiji accommodation features beautiful tropical gardens, a palm fringe beach and fantastic facilities including swimming pools, bars, restaurants and an 18 hole golf course and of course, the Heavenly Spa. The Westin Denarau Island Resort & Spa is an ideal location for your next Fiji getaway whether travelling as a couple or family. This luxury Fiji accommodation offers the perfect setting for a relaxing and memorable Fiji holiday as a couple or with family. The Westin Denarau Island Resort & Spa boasts a range of modern and spacious guest rooms all with five star amenities and also features a range of onsite facilities to enjoy including an indulgent day spa, swimming pool, restaurants and bars plus much more. 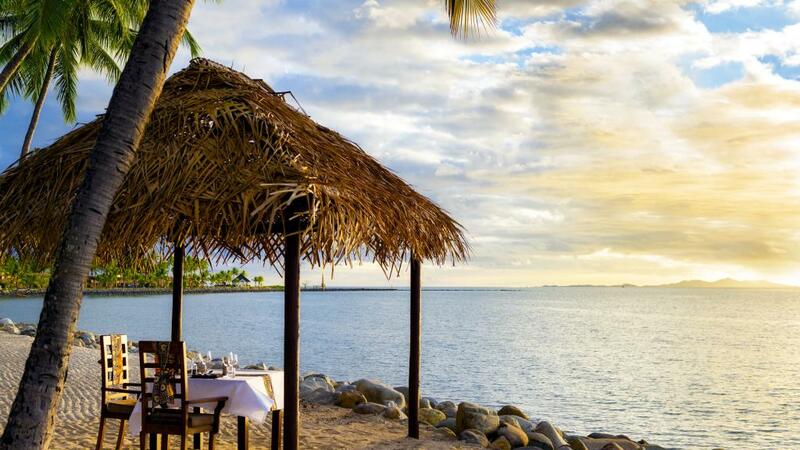 If you are looking for somewhere to spend your next Fiji holiday or honeymoon then look no further than The Westin Denarau Island Resort & Spa. Resembling a traditional Fijian Chief's Bure in style and architecture, Westin Denarau Island Resort & Spa showcases a wide selection of cultural artefacts, tapestries and carvings. This Fiji accommodation boasts a beachfront location close to a number of recreational facilities including an 18 hole golf course. Westin Denarau Island Resort & Spa has a wide range of facilities suitable for both couples and families to enjoy.